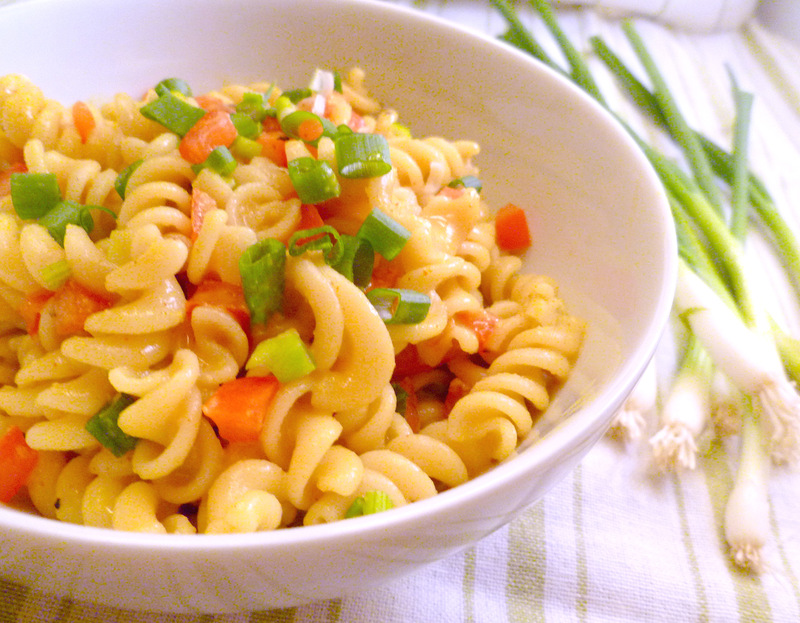 I like to use brown rice pasta as it’s not as chewy as wheat pasta plus it’s gluten free. This is enough sauce to serve over 1 box of 10-12 oz box of pasta and you’ll probably have some left over sauce. For this recipe I used the below propositions. However, you can add bell pepper, zucchini, peas, finely diced, cooked carrots or whatever you fancy. Cook pasta according to package directions. Drain thoroughly and set aside. Meanwhile, remove tomato seeds and finely dice your veggies. Set aside. Meanwhile, pour nondairy milk in small heavy bottomed saucepan. Turn heat to medium low. Whisk in all other ingredients, except cayenne and garlic, being careful to mix out any lumps. Whisk in cayenne, if using, then add in garlic. Heat sauce to a slight boil, stirring frequently, then reduce to low and simmer a few minutes until thickened. Make sure to keep stirring once it’s simmering so sauce does not burn on bottom. Remove from heat. Taste for salt and cayenne and add as needed. Put drained pasta in a large bowl. Slowly pour sauce over pasta in increments, stirring the sauce in until you have the desired consistency (you may not need all the sauce). Toss in the diced veggies and garnish with a little cilantro or parsley if desired.